Where did the month of February go? Last month was a pretty hectic month for me. From snowboarding lessons to Florida to Arizona, I felt like I was going the entire month. (This explains my slacking on my blog posts– sorry everyone!). I’m going to catch up on my blogging slowly but surely. Let’s start with working my first Ragnar race! First of all, this was the Miami to Florida Keys race. 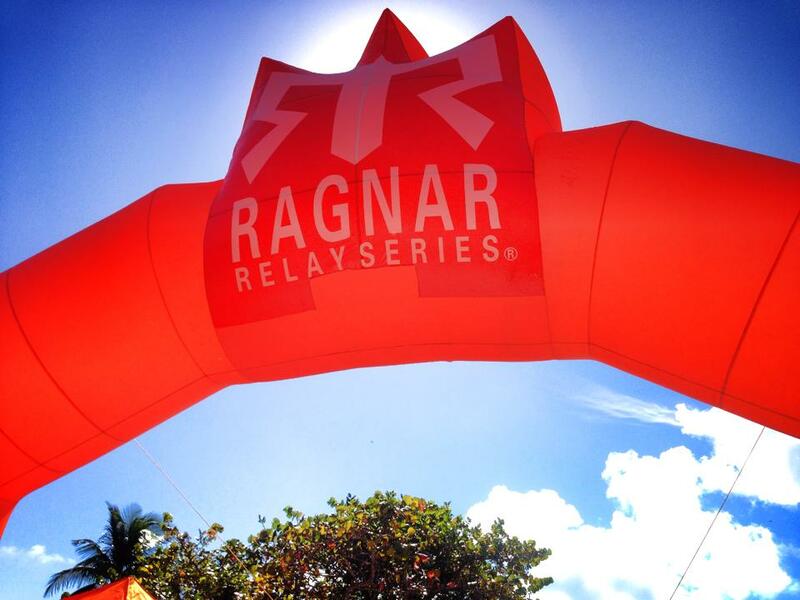 For those of you who aren’t familiar with Ragnar, I’ll give a brief explanation. It’s an overnight running relay series across the country in scenic locations. Teams of 12 people (or less) run 200-ish miles from one destination to another. Each person runs 3 legs (there are 36 legs total) for an average amount of 15-25 miles each. So anyways, Ragnar flew me to FL to work the race. It was a whirlwind of work and fun. We got there Wednesday afternoon/evening, checked in to our hotel, and got some dinner in downtown Miami. The first thing I craved was a Publix Sub. No joke. Also, I forgot a hairbrush so I walked into Publix to find one, and I was literally in a grocery store wonderland… It was like I was seeing the Grand Canyon or something. Nope, just Publix AKA the BEST GROCERY STORE EVER. Okay… That was my ode to Publix. The next day we woke up to go to SWAT training. SWAT stands for Sweaty Wet and Tired. None of those descriptions are exaggerations. SWAT volunteers are just super-volunteers that work the whole race, usually in long shifts. SWAT training is just where everyone on staff/SWAT meet and get instructions from the Race Director for the race. After that, I went to the start line with the Start/Finish Lead to lead the volunteers in setting up the start line area. This race is a little unique for the series because there was a pre-race party which ultimately makes setting up the start more complicated since all the check in materials must be transported to the start line the morning of the race (3am!). We set up as much as we could and went to the last bit of the party to help pack up. I forgot how hot and humid Florida is… and how easily I burn. Needless to say, I got extremely burnt the first day as we were out there from 10am to 5pm. Since I was supposed to be the Start Line Assistant, I started at 3am on Friday morning. I didn’t sleep much that night either. It was a combination of knowing I had to be up early, having a roommate, and nerves/excitement. At first, it was a rush to get all set up in time since runners started showing up at 4am! But after that, it was only minor issues to take care of at the start. It was a beautiful day, aside from the standard FL heat. Oh, I got burnt again. (I forgot sunscreen the whole trip. I’m a disgrace to Floridians). Runners start times went from 5am to 2:30pm. After that, we broke down and had to drive to the finish line (KEY WEST!). Just those two days alone were exhausting (exacerbated by the heat, humidity, lack of sleep, and standing all day long). But I was SOLD. I know that this isn’t most people’s interest, but I love the excitement, the thrill, and the energy that putting on events brings. It’s a rush of adrenaline and you forget about everything else except the event. I forgot to eat and drink for literally hours… and I didn’t even notice. Sounds crazy, huh? I drove the group of us to Key West (it was dark, so unfortunately we couldn’t enjoy the drive to paradise). We grabbed some food and tried to sleep for a few hours. The next job I had was Finish Line Parking Manager. Basically, I had 4 lots to manage surrounding the finish line. My shift wasn’t too busy for parking, maybe because we ended up having more than anticipated. I wasn’t complaining though. Everything seemed to run smoothly after I trained each group of volunteers. It’s amazing what you can accomplish with happy volunteers! I worked from 6:30am to 3pm and took a lunch break and helped pack up the trailer that holds all of the stuff for the race. My supervisor and I drove the last part of the course picking up cones, signs, etc. and dropped those things off as well. After it was all said and done, it was already 10pm. Then there’s always a staff/SWAT dinner somewhere. Everyone was in a sleepy daze. I was so tired that I wasn’t hungry anymore. I just wanted to be in a bed, sleeping. I slept extremely well that night. The next day, most staff members stayed and enjoyed Key West. I was staying in this house right on Duval Street. It was HUGE and BEAUTIFUL. The location was perfect. I cannot describe how awesome this house was… three stories, porches on all three stories, wood floors, comfortable beds, huge bathrooms. Our Sunday was spent adventuring around Key West. We went to a cute little crepe place. Then I went to the Southernmost Beach for a little while. There was a short awards ceremony at one of the bars on Duval in the afternoon. After that, we walked down to Mallory Square to see the sunset and street performers. The sunset wasn’t great, but it was still a nice evening. I learned a lot working my first Ragnar. All I can say… When can I do it again? !